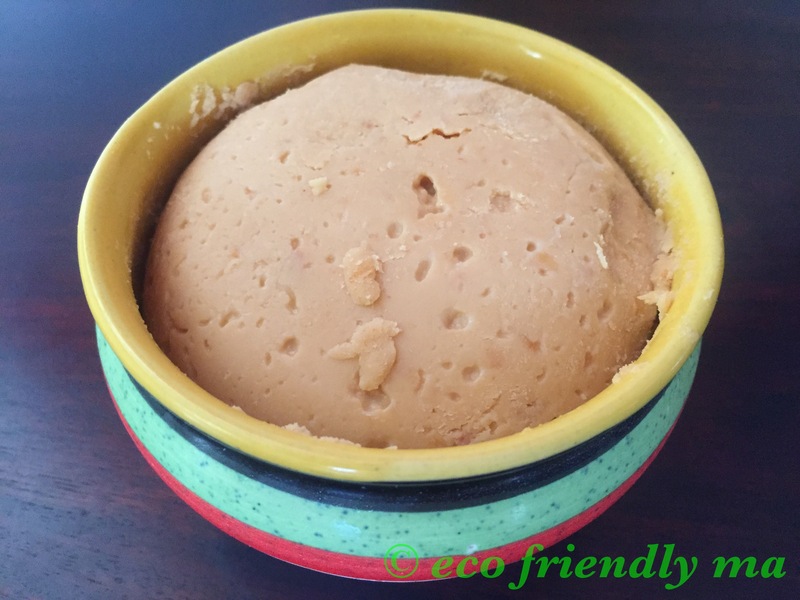 If you had refrigerated khoya, let it come to room temperature.. else if you have freshly prepared khoya, you are ready to get started. Meanwhile in a saucepan pan bring the water to boil and add sugar. Mix with a spoon and then heat at medium heat for about 10 minutes until sugar is dissolved in water. Do not overheat, that will caramelize the sugar. 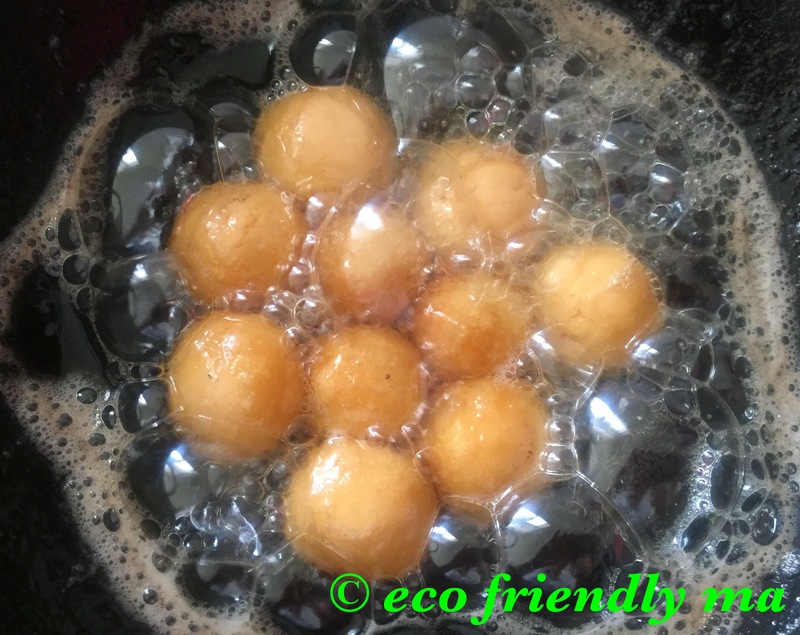 Add few drops of lemon this will ensure that once syrup cools down it does not solidify. Add saffron and cardamom powder and switch off the flame. 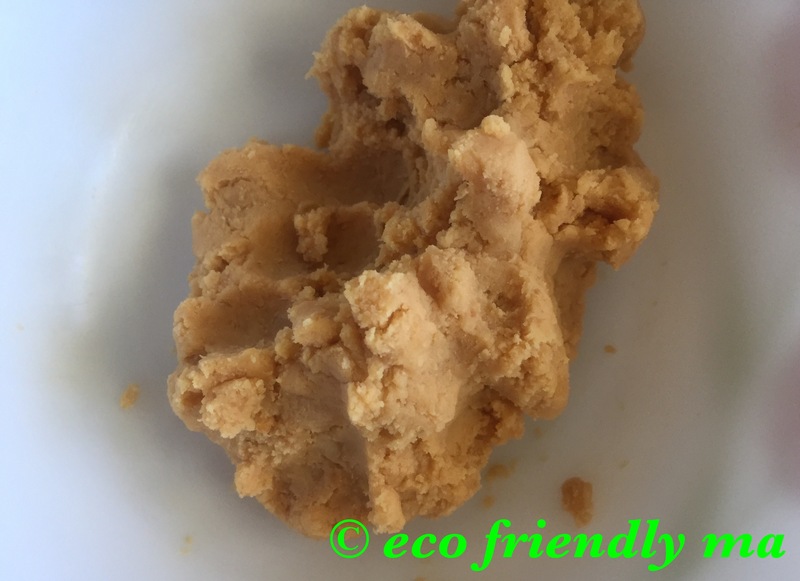 Mix the flour n baking soda to the khoya. 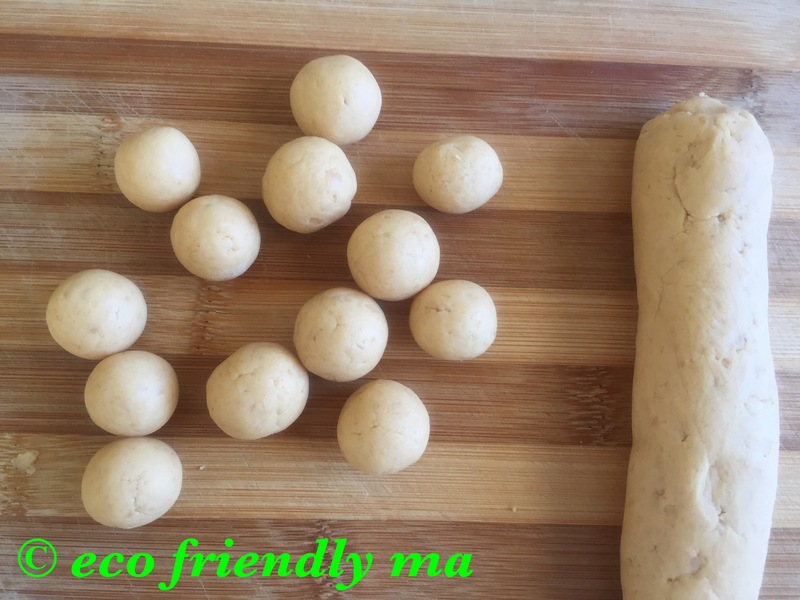 Knead it with your hands to form a soft dough, and make a small ball. 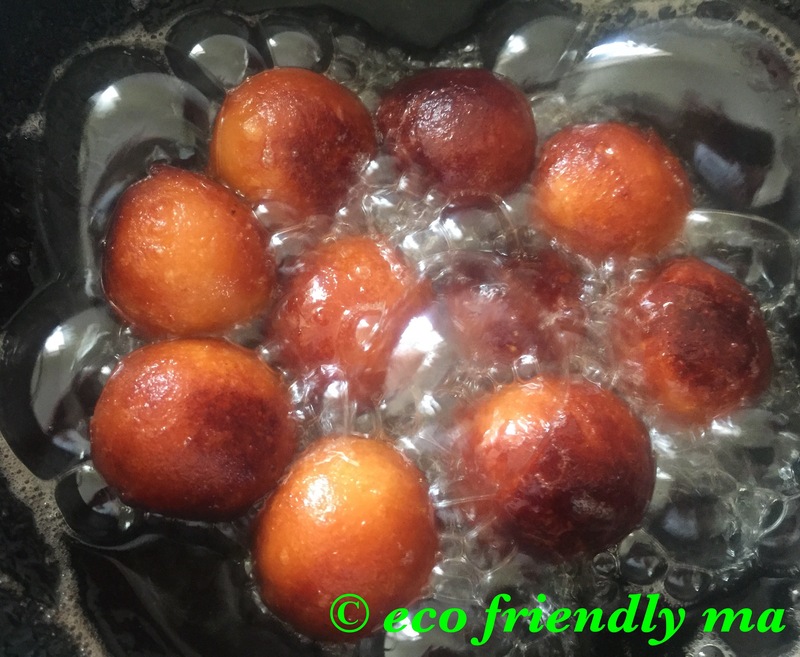 Remove them using a ladle with holes <for the ghee to drip> and put them into the above prepared hot sugar syrup. 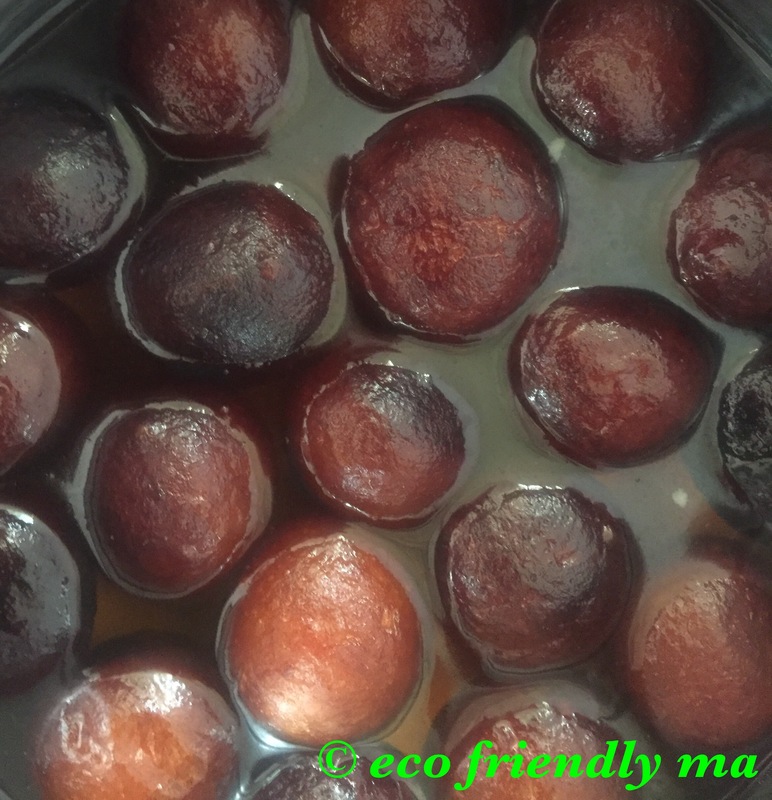 In few minutes, gulab jamun will absorb the sugar syrup and is ready to be tasted! 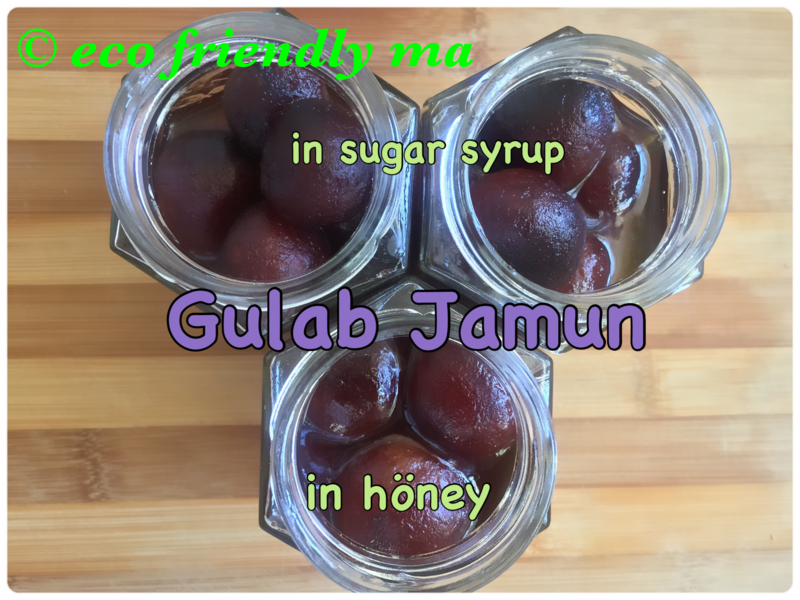 Remove few gulab jamuns from the sugar syrup and add into a jar of höney… The milk khoya, ghee n höney – mmm this gulab jamun tastes heavenly!